We’ve teamed up with BetVictor’s Tanya Stevenson to preview the day’s racing. I see Arkle Trophy favourite (5-1) Kalashnikov is bonus hunting and may well turn out at Plumpton on Monday, it’s a wonderful offer the Sussex course put up, which over the years has attracted many only Voy Por Ustedes has landed the double back in 2009. It will surely get the turnstiles clicking to see a wonderful performer. Friday’s action at Newbury promises to throw up some cracking contests now the rain has come to help the ground out. Kempton and Chelmsford will keep the action ticking over this evening so I’ve endeavoured to eek out some good stats. Roger Charlton is boasting a 44 per cent strike rate with seven winners from his last 16 runners and he saddles Universal Soldier (5.00 Kempton), the gelding started running in hot maidens at Newbury in the summer of 2017, he was only 8½ lengths behind Purser when 100-1. 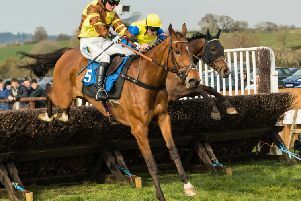 He had one further run, then it was a year before he was next seen and after a third to Keswick at Wolverhampton on his handicap debut, he romped home at the same venue by a commanding four lengths off a mark of 74. Now ten pounds higher and running at Kempton I sense there is more improvement to delve into especially as the trainer and jockey are in such hot form. Simon Crisford is also firing in the winners at present with five from his last 18 one of those is Jadeyra (6.30 Kempton), who was successful at Southwell 13 days ago. It was only the third run for the daughter of Dubawi, amazingly she was a big drifter when victorious, it didn’t stop her and many on the terraces and watching on were left ruing their mistakes. This is her handicap debut and she has been given an attractive mark of 72 amongst some experienced campaigners. I’m plucking up the courage to ignore the last run for Oakley Mimosa (8.00 Kempton) who was beaten over 40 lengths on good to soft ground at Yarmouth. Hopefully her little break has done her good as she was regressing from some pleasing summer efforts which started with her seventh to Naval Intelligence at Newmarket. It wasn’t long before she backed it up with a second on the all-weather at Lingfield. She was very brave when battling to win at Chelmsford in August. Here’s hoping she is much better on the all-weather than the turf. Trainer Stuart Williams has opted to put blinkers on her for the first time which may spark her up even further. This isn’t the toughest of assignments if she puts her head down. Gentlemen (5.45) is a five-time winner at Chelmsford and in a way stands out in the apprentice handicap as he is ridden by Adam McNamara who lays claim to four winners from his last seven rides. I know Gentlemen hasn’t won for two years off a mark of 79 but it is still plenty lower than he was just a year ago. With the right positioning he can be right in contention at the crucial time. I’m a huge fan of Lord Clenaghcastle (7.45 Chelmsford) who will be having only his fourth run on the all-weather, he is renown for loving the quirks and undulations of both Brighton and Epsom, what he will think of the flat nature of Chelmsford will unravel. Chelmsford ends their card with a really competitive handicap and there are so many different angles to pick from. I’m minded to go with hat-trick seeking Appenzeller (8.45) in favour of thrice race Sweet Nature, only because Richard Hughes’ charge is more robust to the challenges of a frenetic handicap. I know that could be offset by the possible lenient mark for Sweet Nature but Finley Marsh is a valuable asset on my selection.